My first time enjoying some delectable Chinese cuisine at China Treasures, Kuala Lumpur Golf & Country Club, it was a good evening out. There to savour their Chinese New Year menu, I must say the ambiance of KLGCC has to be one of the nicer ones I've seen and experienced in a while. In conjunction with the Year of the Red Monkey, Executive Chinese Chef Eddie Chua and his team of culinary experts have specially designed set menus fit for a prosperous feast this Chinese New Year. From 8 December 2015 to 22 February 2016, enjoy the exquisite Cantonese Chinese cuisine featuring five amazing set menus (Wealth, Prosperity, Fortune, Abundance and Happiness) for a sumptuous gastronomic experience. Enjoy the 9 course Wealth Menu complimented with Prosperity Yee Sang, fit for 10 persons at RM 3,288.88nett featuring dishes such as Abalone and Fresh Norwegian Salmon Yee Sang with Chinese Pear, Double Boiled Superior Bird’s Nest Soup with Sea Treasures, Braised Ten Head South African Abalone with Baby Sea Cucumber and Broccoli, Double Boiled Lotus Seeds with Lily Bulb, Longan, Sea Coconut and Ginseng, to name a few. Another great option would be the Prosperity Menu of 9 course menu with China Treasures Yee Sang at RM 2,688.88nett per table of 10 persons. Some of the menu highlights are Fresh Norwegian Salmon and Haruan Yee Shang with Chinese Pear, Double Boiled ‘Kampung’ Chicken Soup with Abalone, Dried Scallops and Mushroom, Crispy Marinated Szechuan Duck, and Steamed Tiger Prawns with Crispy Garlic and Vermicelli and much more. A complimentary bottle of Red Wine comes with each Wealth and Prosperity Menu. In addition to that, the Fortune Menu with a 9 course meal is priced at RM 2,188.88 nett per table of 10 persons. 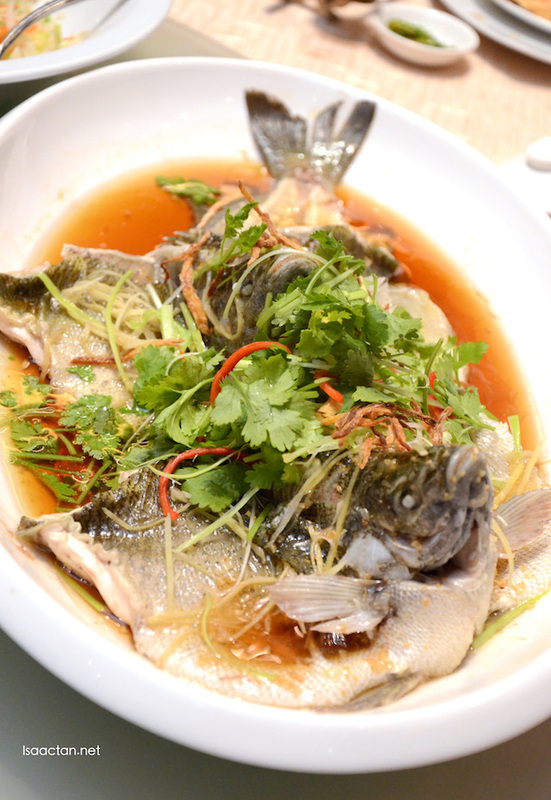 Menu highlights include the lip-smacking Double Boiled Sea Treasures with Silkie Black Chicken in Superior Stock, Hong Kong Style Steamed Live Dragon Garoupa Fish, Hot Soy Bean with White Fungus, Lotus Seed and Ginkgo Nuts amongst other. If you wish to have a smaller group of people then the Abundance and Happiness set menus are the perfect choices. Indulge in the Fresh Norwegian Salmon Yee Sang, Braised Birds Nest Soup with Dried Seafood, Steamed Live Australia Jade Perch Fish to name a few from the Abundance menu priced at RM 1,162.88nett ( per table for 6 persons) and RM 1,688.88nett ( per table for 10 persons). Alternatively, tempt your senses with the Happiness 8 course menu with dishes like Traditional Haruan Fish Fillet Yee Sang, Traditional Style Roasted ‘Pee Par’ Chicken, Stir Fried Tiger Prawns with Vietnamese Sauce. 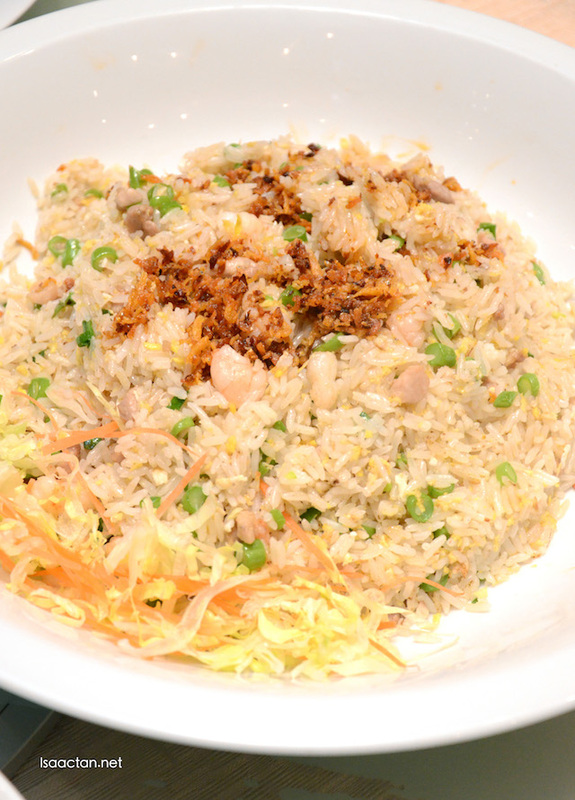 ‘Yong Zhou’ Style Fried Rice, and a delicious Hot Soy Bean with White Fungus, Lotus Seed and Gingko Nuts, are part of the menu highlights. 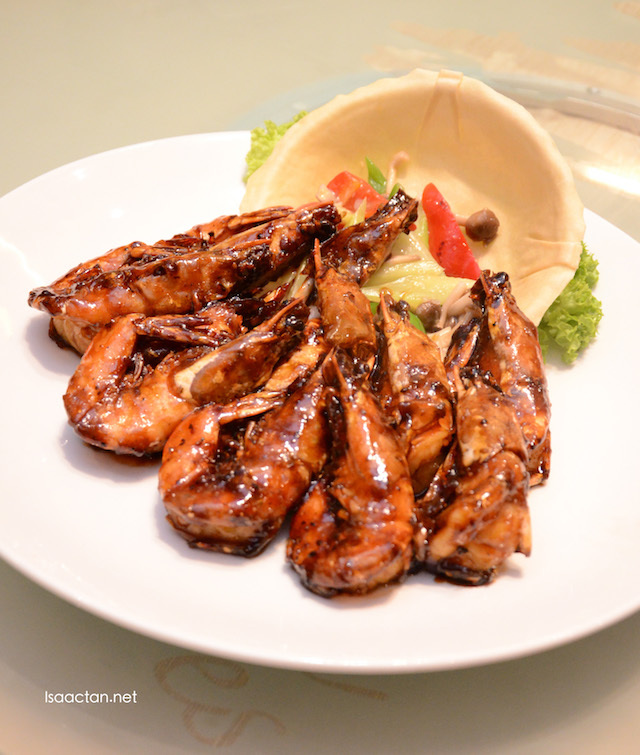 Enjoy all this at the price of RM 922.88nett (per table for 6 persons) and RM 1,288.88nett (per table for 10 persons). A great celebration of Chinese New Year must be complemented with the traditional toss for prosperity, good health and luck with the famous Yee Sang. 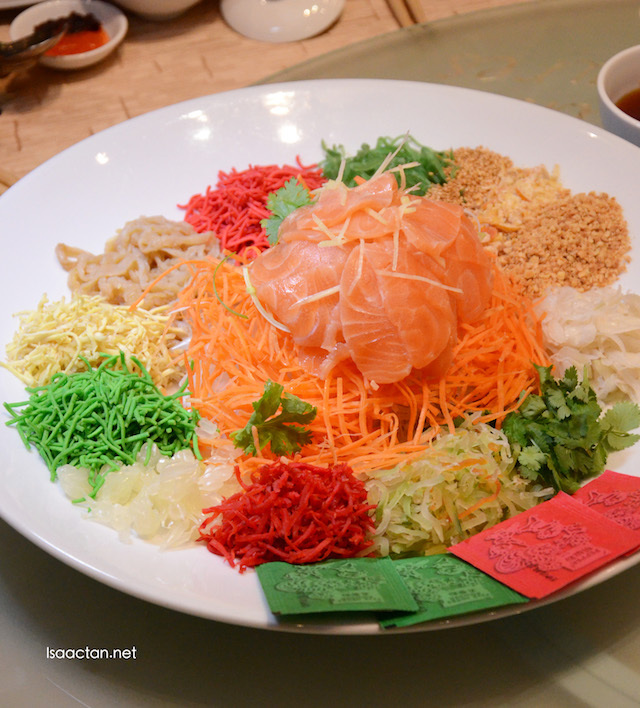 Look forward to a selection of amazing Yee Sang such as Abalone Yee Sang, Norwegian Salmon Yee Sang, Fresh Haruan Fish Yee Sang and Jelly Fish Yee Sang, ranging from RM 91.00 to RM 268.00. If you prefer to enjoy the goodness of the Yee Sang at the comfort of your own place, you could do so with an additional charge of RM 21.00 nett per order. The ‘Take – Away’ Yee Sang Menu is also available for lunch and dinner at the all-day dining restaurant, Golfer’s Terrace. 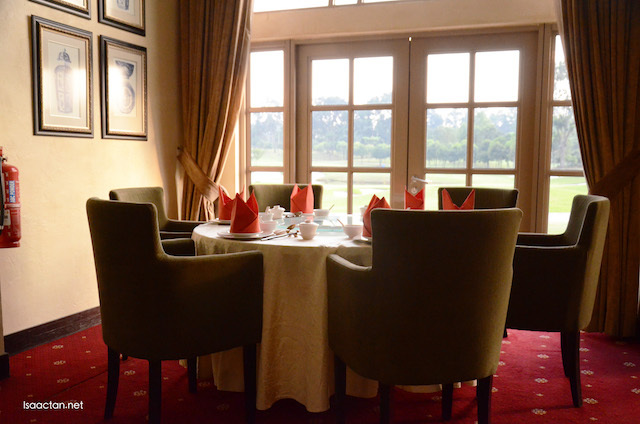 An ideal venue for corporate and family dining, China Treasures features a subtle décor with Chinese influence that exudes sophistication and unpretentious comfort, complementing the overall ambience and setting, an excellent choice this Chinese New Year. 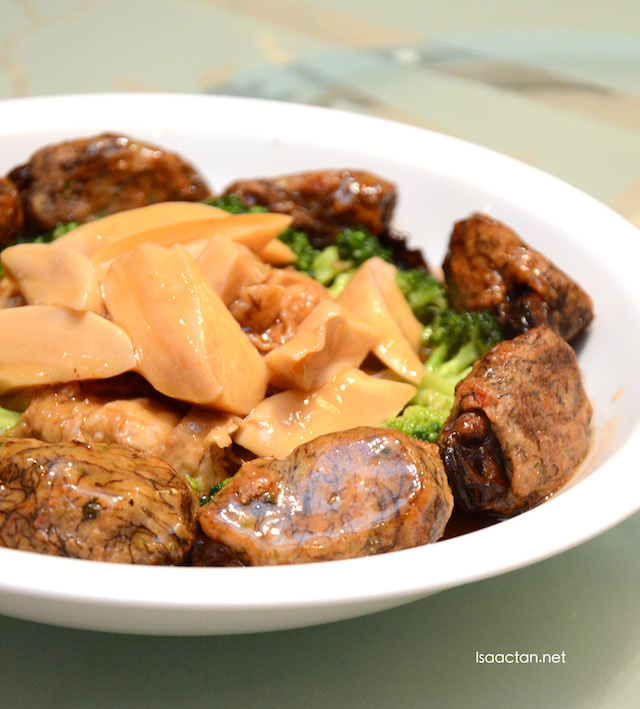 China Treasures is open daily at 11.30am- 2.30pm for lunch and 6.30pm to 10.30pm for dinner. To place reservations, please call the team at + 603 2011 9191 or visit klgcc.com to learn more information. 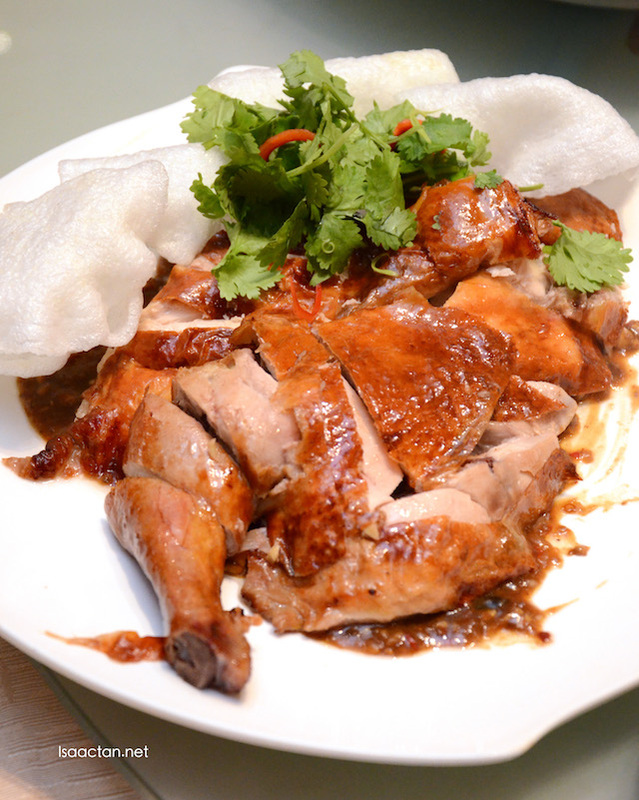 Good dishes with good prices. Hope to dine there with my family during CNY. CNY is coming! Must book a table there now. it seems now they only have CNY set and no more buffet ya. My saliva is dropping! Is a bad idea reading your blog at midnight. Anyway, the food looks so good! The view from the golf resort looks so nice, delicious food and a good scenery! Their set menus are quite good, I like to try the Braised Sea Moss Oyster Rolls with White Jade Shell and Garden Green.